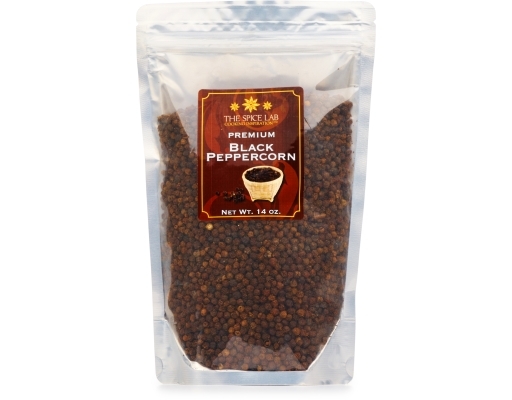 Black pepper is native to south India, and is extensively cultivated there and elsewhere in tropical regions. 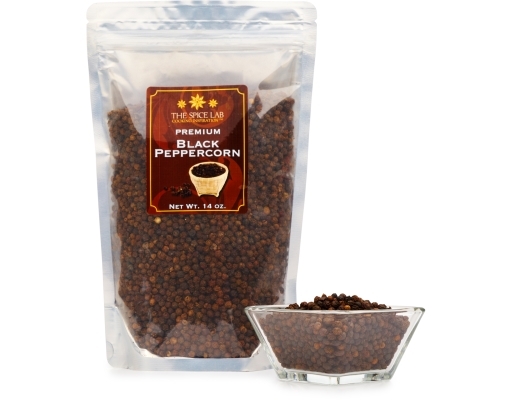 Black pepper is produced from the still green unripe drupes of the pepper plant. 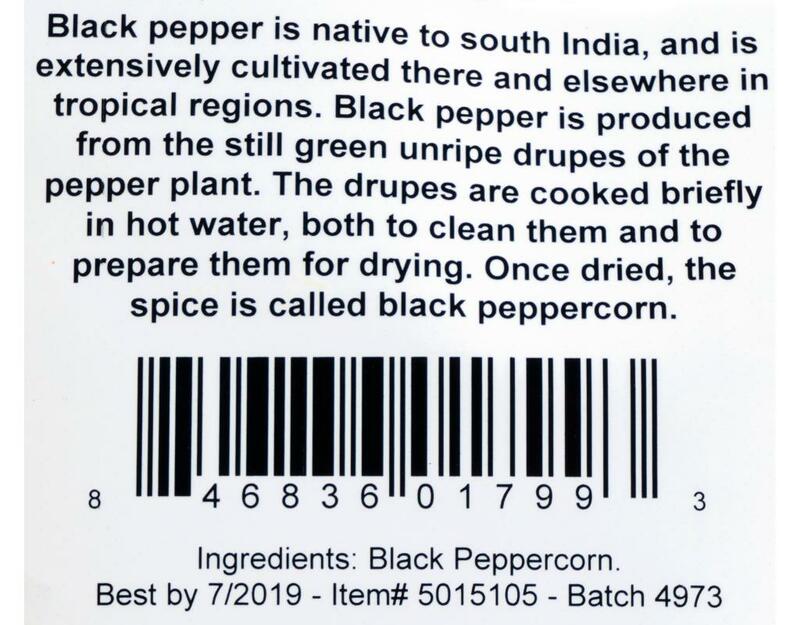 The drupes are cooked briefly in hot water, both to clean them and to prepare them for drying. 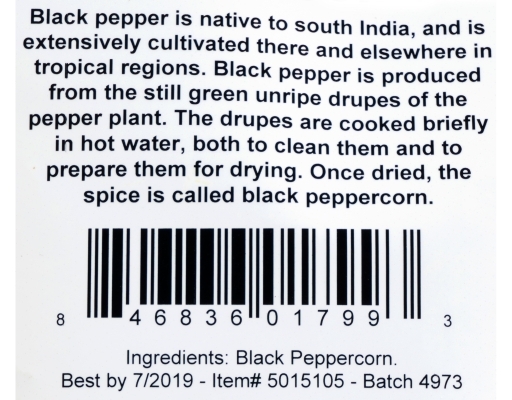 Once dried, the spice is called black peppercorn.